Dear job seekers, a good opportunity is waiting for you! The Gujarat Metro Rail Corporation Limited (GMRC) has announced the official notification for the Gujarat Metro Rail Recruitment 2019. The main of GMRC (Ahmedabad to Gandhinagar) metro rail project is to provide safe and eco-friendly transportation service to the public. Presently, the organization has decided to fill the vacancy in different categories with suitable candidates. Totally, there are 37 Manager, Surveyor, and Legal Asst vacant posts are available. The Gujarat Metro Rail Various Posts Recruitment 2019 is looking for both freshers and experienced candidates who have completed their graduation in the respective field. The organization will be selecting the candidates on contract basis for 3-5 years. Candidate should have completed Diploma in Civil Engineering from an authorized University. Also, you should possess a minimum of 3 years of post-qualification experience in Auto CAD & Designing of large infrastructure projects in Railways or Metro Rails. Candidates must have a Diploma in Civil Engineering (3 years diploma) with a minimum of 3 years of post-qualification experience in Survey works of Civil engineering. In addition, you should capable of handling all the advanced equipment and carry out the survey works in large projects. The eligibility criteria for Gujarat Metro Rail Manager Recruitment 2019 are that the candidate must be B.E/B.Tech (Civil) engineering graduate. You should have a minimum of 7 to 9 years experience in the respective areas like the construction of bridges, multi-storied buildings, workshop sheds etc. Candidate should have a graduate degree with three years LLB from the reputed University. Also, you must have 7 to 9 years experience in post qualification areas such as Arbitration, Industrial law, Labor laws, Administrative law & Company Law and Contract Agreements. 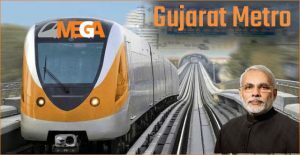 Step 1: Visit the official website of the Gujarat Metro Rail Organization www.gujaratmetrorail.com. Step 2: Click on the link ‘Recruitment Careers’ option given at the bottom of the home page. Step 3: Read the official notification and requirements carefully. Step 4: Click on ‘Gujarat Metro Rail Recruitment 2019’. Step 5: Complete the online application with the correct information. Step 6: Upload the required Documents, Testimonials and Images. Step 8: Go through the given details and hit the ‘Submit’ button.